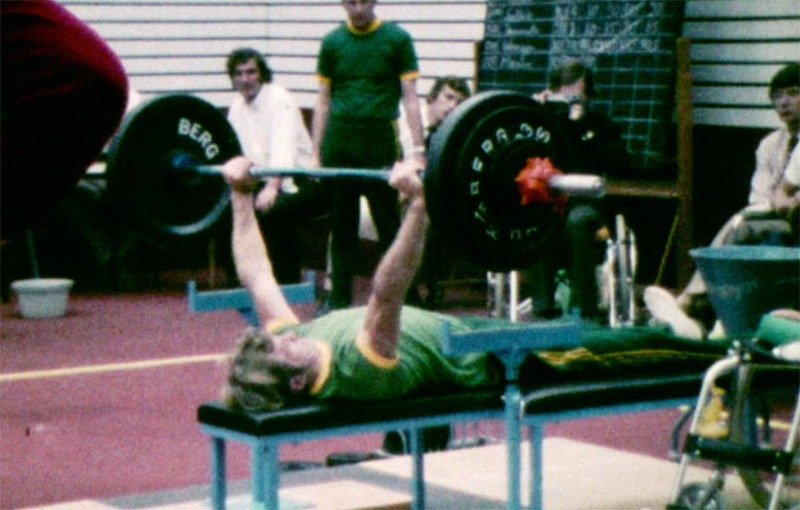 The bench press was an indicator of upper body strength in the rehabilitation of people with paraplegia at Stoke Mandeville and other similar rehabilitation centres around the world in the early years of the Paralympic movement. Apart from a barbell and weights, there was no equipment required, as participants could lie in the floor or ground on their backs on a mat. Weightlifting was part of the Paralympics from 1964 until 1992. In 1964 weightlifting was introduced into the Paralympic Games in four classes, from featherweight to heavyweight, contested by male athletes with spinal cord injury. In 1976, the number of bodyweight classes was expanded. In 1980, separate weightlifting classes were introduced for amputee athletes. From 1984 to 1992 it shared a spot on the program with Powerlifting, which was added to the Paralympic program to include athletes with other disabilities and finally replaced Weightlifting in 1996 as the sole Paralympic lifting sport. The difference between Weightlifting and Powerlifting is that in Weightlifting, the bar was placed in a starting position one inch above the competitor’s chest, whereas in Powerlifting, the competitor first lowers the bar from the rack to touch their chest, then raises it. For Weightlifting, the starting position for the bar was measured before competition started. The competitor lay on their back on the bench, with their arms extended behind their head and women were not allowed to wear a bra for this measurement. Weightlifting events at the Games were only ever conducted for men and women’s Paralympic Powerlifting events were not added until 2000. Australia won three silver medals at the first Paralympic Weightlifting competition – Mike Dow in the featherweight division, Gary Hooper in the lightweight division and Vic Renalson in the heavyweight division. Renalson was Australia’s most successful competitor ever in the sport, returning to win gold in 1968, 1972 and 1976 (when he dropped to a lower weight division). In total, Australia won 11 medals in Weightlifting. After Renalson, Brian McNicholl was Australia’s most successful competitor, with one gold and two bronze medals.